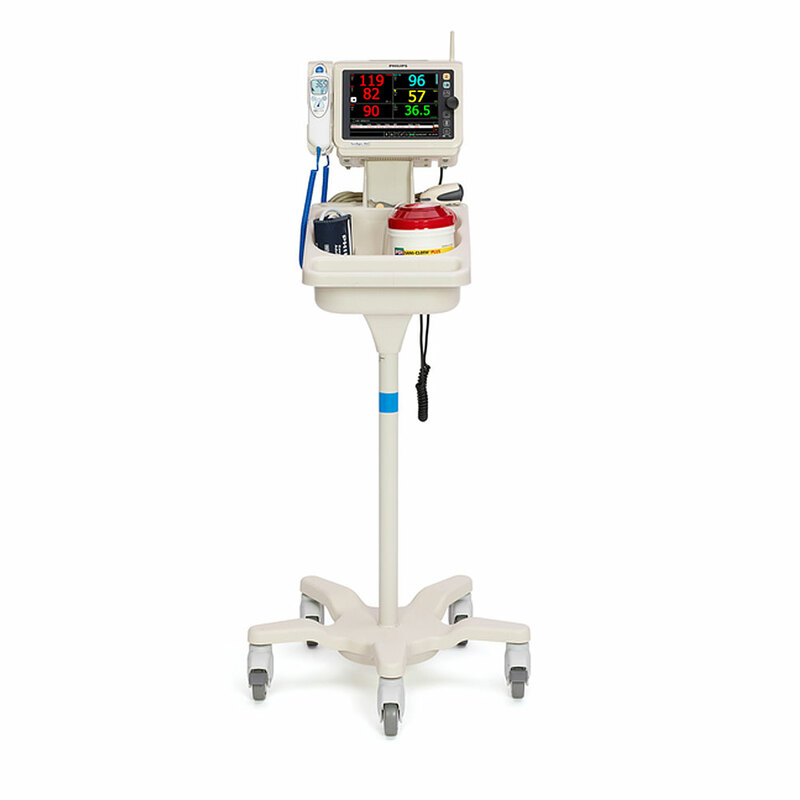 Philips Premium Rollstand for use with the SureSigns VS & VM Patient Monitors. Includes a molded, easy-to-clean basket. Basket can swivel to allow easy positioning in confined spaces. Separate sections for organizing your accessories, like a bar code scanner, SpO2 sensors, BP cuffs, and more.